We’d like to invite you to enter a competition, for the chance to win a Collector copy of Ronnie Wood’s HOW CAN IT BE? along with an exclusive signed poster from his reader event at London's Ambassador's Theatre. To enter, simply click here to submit your answer to the following question. The winner will be drawn at random, and we wish you the best of luck! Which legendary venue did Ronnie Wood's band, The Birds, play every Monday in January 1965? 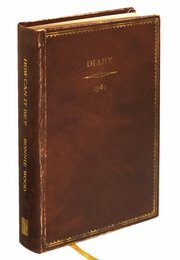 Take a look at Ronnie Wood’s 1965 diary, or click here to see if the answer is somewhere on the book’s microsite. You can order your copy of the signed limited edition between now and December 21st (UK) or 15th (USA, Europe, RoW) to receive it in time for December 25th. On checkout, enter the voucher code RONNIE2015 for complimentary shipping worldwide.